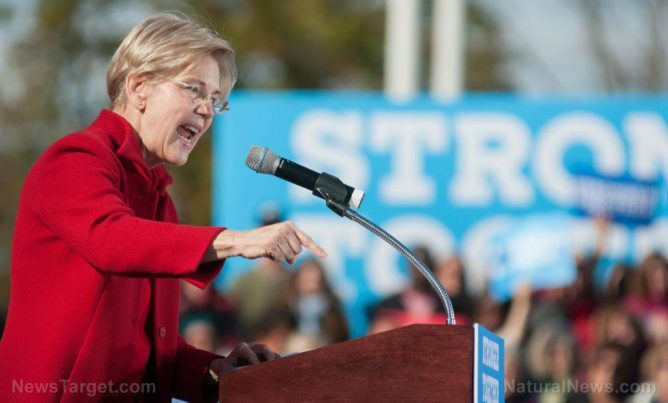 Democrat race hoaxer Elizabeth Warren wormed her way through Harvard by falsely claiming to be Native American. In 1997, the Fordham Law Review made her the poster child of successful “women of color” even though she’s white. Warren is widely expected to make a run for the presidency in 2020, so the entire fake news media is now trying desperately to clean up her history by finding some evidence that she might have Native American ancestry. Furthermore, according to a 2014 story from the New York Times, the typical “white” American is .18% Native American, .19% African and 98.6% European. This means the average white American has twice as much Native American blood as Elizabeth Warren. In other words, Elizabeth Warren’s DNA test merely confirms she’s another white American. Yet the entire left-wing media is claiming her tests prove she’s Native American. If Elizabeth Warren is Native American, then so is nearly every white person in America, rendering the entire “Native American” designation meaningless. But the Left doesn’t want any rules to be consistently applied. In the same way Hillary Clinton gets a special pass on criminal obstruction and destruction of evidence, Elizabeth Warren receives special treatment on her ancestry that isn’t granted to anyone else. The same deranged Left, in other words, that now claims Elizabeth Warren is Native American — even though she’s white — also claims that all white people are bad and should be removed from power. Amazingly, such demands never apply to white women like Elizabeth Warren, who receives special protection from the lying left-wing media by claiming she’s a “woman of color” even though she’s whiter than most white people. Ultimately, the Left is all about the complete obliteration of logic and reason, which is why Leftists are also out to destroy all science and replace it with left-wing hoaxes like transgenderism and climate change. If you believe a biological man can magically transform into a woman, then you might also believe that Elizabeth Warren is a Native American when, in truth, she’s a cheater and liar who falsely claimed to be Indian in order to gain a “victimhood” advantage over her classmates. Like all Democrat politicians, in other words, Elizabeth Warren is a liar and a cheat. Read LizWarren.news for more details.